Let us support your journey even if you aren’t a current athlete of ours. We know the hardest task for an athlete is to be objective and make purposeful decisions for their training. Schedule a free session to get a kick in the right direction or talk to our team about how we can help you achieve your goals. If you want to skip the strategy call and sign up for coaching directly, click the individual service links below. Login with the account you created when you initially purchased a coaching subscription. You will automatically be redirected to your coaching dashboard. We manage every aspect of your program on a week to week basis to ensure you are maximizing your effort training. You can expect less than 24hr turnaround time from when you submit your plan to when the updated version is delivered to you. We aren't just looking at numbers. We ensure all of our athletes are working to be as efficient as possible to prevent injuries and express more of the strength they already have. 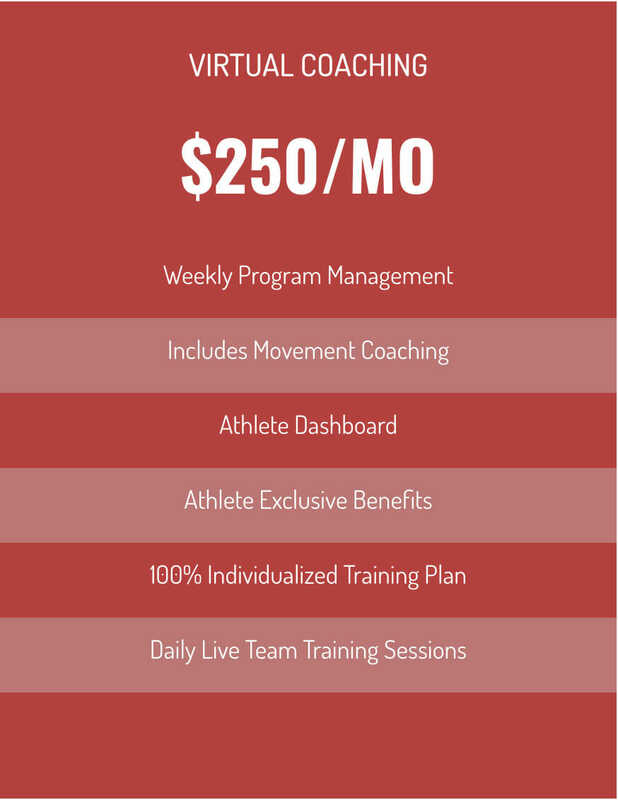 Everything included in Movement Coaching is included here. This is where you submit your training plan, videos, and any other feedback each week. You'll also have links to our video library, Facebook group, and your Coaches calendar so you can schedule phone or Skype calls whenever you'd like. Also on the dashboard you'll have access to unique discount codes to our store that may be applied to equipment, apparel, or any other products in our store. You'll also receive 50% off any of our seminars, and a free Lab membership. No stone is left unturned in our initial assessment. We look at movement quality, injury history, available equipment, days you want to train, sleep habits, hydration, and many other factors. All of this information comes together in your training plan specifically for you. Monday - Friday we sit down and video conference with any of our athletes who are training to give live technique feedback, answer questions, and build our community. You also get feedback from a different perspective from other coaches on our staff. Every 4-weeks your program will be updated and delivered back to you in 24hr or less. This option is best for athletes who have experienced our Weekly Coaching option and who don't have glaring movement problems. Just like the Weekly option we will provide technique feedback during each check-in but, it doesn't include full-blown movement coaching. This is a technique and movement correction specific program. 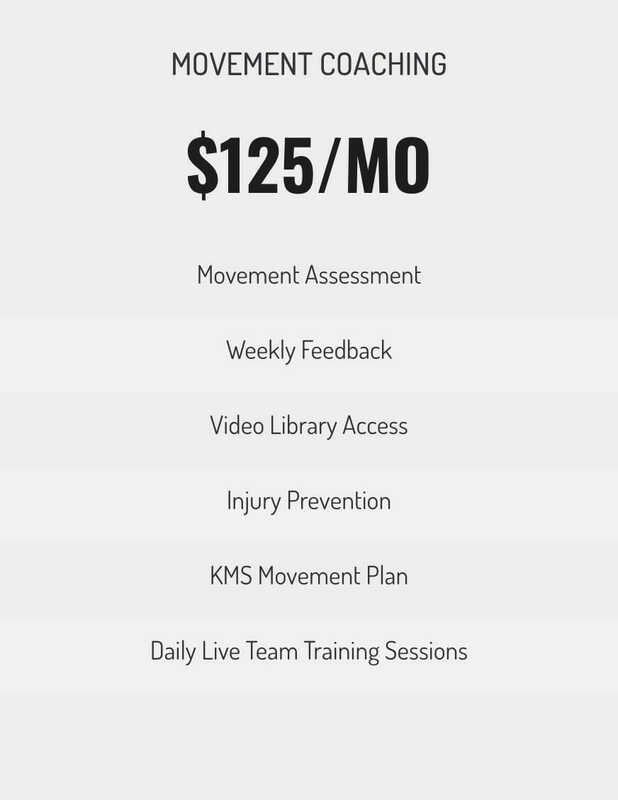 We'll evaluate your movement quality as it relates to the primary lifts via barefoot training footage and a comprehensive questionnaire specific to movement coaching. Your training videos will be evaluated each week to ensure you are making progress in the drills and exercises you are performing. Full access to our private video library which houses 300+ videos, lectures, and forum. The primary goal of Movement Coaching is to keep you healthy or get you healthy. An athlete who can train longer will be stronger, period. We use the same principles that have been presented to universities, professional organizations, and in our seminars to create a priority based movement plan. This includes drills to be performed before training, on off days and any relevant educational content. Can’t Figure out which service is for you? CLICK HERE TO SCHEDULE A FREE STRATEGY CALL! 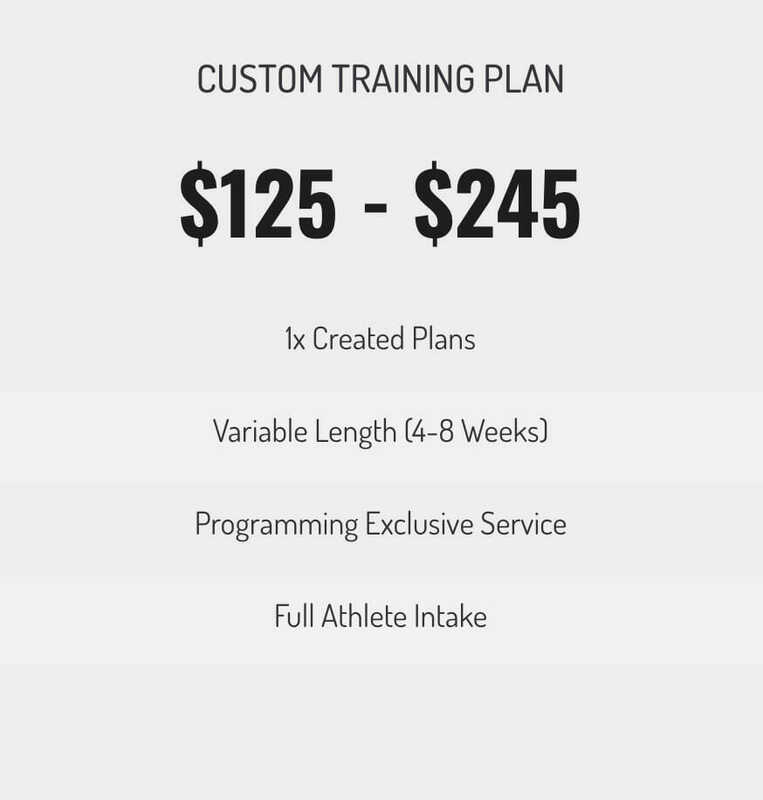 Custom training plans are a programming specific service. If you enjoy handling your own training adjustments and aren't looking for continued coaching outside of the initial consultation this program is for you. Custom plans include all of the nuts and bolts of our training plans without the ongoing coaching. This might be a good option for off-season blocks or for general strength plans. This plan is not recommended if you have movement limitations or injuries. We still build each custom plan from the ground up with the information you provide to us about yourself. We do our best to learn as much about you as possible in the initial consultation to build the most effective program possible. Each Consultation runs 1-3 hours depending on what we need to work through. We'll assess your biomechanics, provide you with corrective interventions, and strategies for long term improvement. If you decide to pursue Weekly coaching we'll put the cost of the consultation towards your first month of coaching. You'll work 1-on-1 with one of our qualified in a private setting to ensure our complete focus is on you. We'll teach you how to perform drills correctly to improve your mechanics and adjust your technique to get the most out of your leverages. Once we finish up your session we'll send you home with strategies for continued improvement. 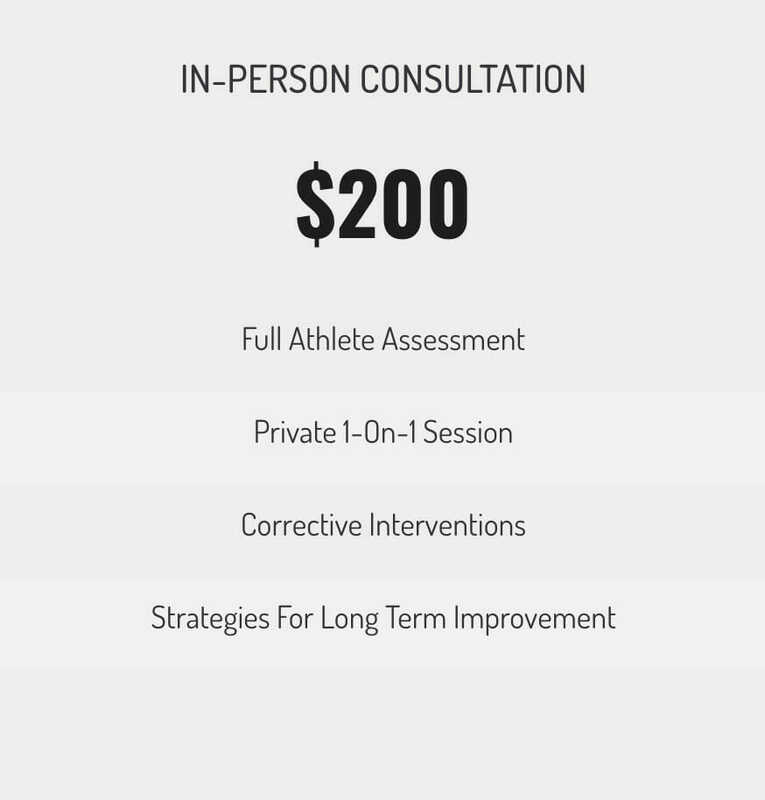 The $200 initiation fee is put towards a Consultation session with one of our Coaches. 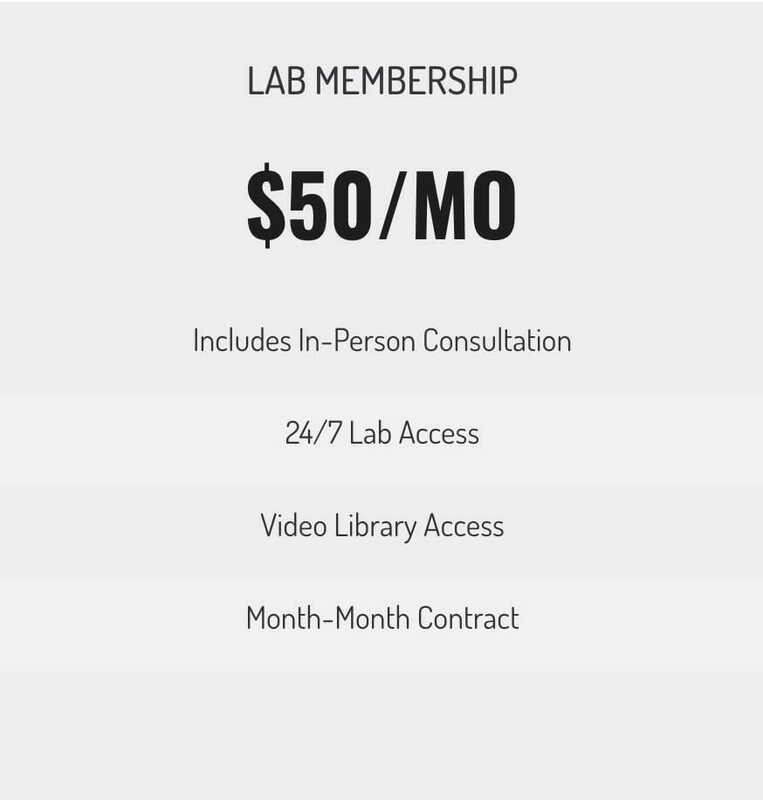 The Lab is key card accessible and open 24 hours per day 7 days per week. Even if you aren't a client of ours we still want you to have the tools necessary to problem solve your movement. Memberships are month to month with no required contract length. We offer global coaching solutions with scientific training methods backed by a clinically based movement system. 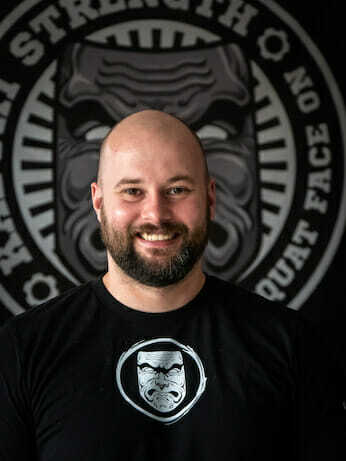 When you join the Kabuki Strength Team, you will receive a 100% individualized training program designed to fit your current needs, future goals, and long-term development. Your program will be curated and delivered by your coach in our powerful data-driven excel training logs. Each training plan is developed with scientific principles that are applied to your specific needs through the experience and creativity of our coaching staff! 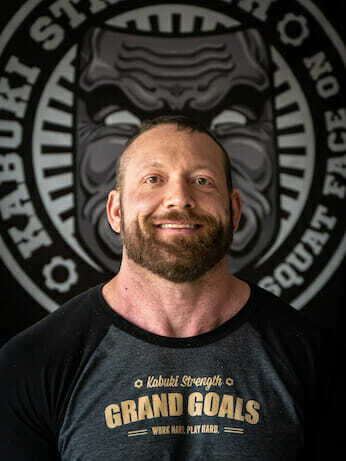 Once you become part of the Kabuki Strength Team you become the most important person to us. Your goals become our goals and we only have your best interest in mind.There’s just something special about having someone in your corner no matter what. Becoming a member of our team is like having someone you can always rely on to provide you with the complete support and objective feedback possible to support your goals.This is much more than what’s written in your training log. We are here to foster a relationship that is lasting. Normal training has many high points and equally deep low points. We want to experience all of it with you. 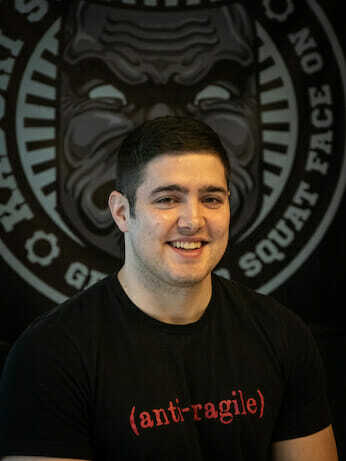 Unlike most online coaching services, our coaches are located on-site at Kabuki Strength Lab and work and train together, day-in and day-out. We work with beginners just getting into barbell training and all the way to some of the strongest and most competitive athletes in the world. Our Coaches will work hands-on with you to assess your goals, strengths, and weaknesses in order to determine short-term goals and long-term development strategies. We pride ourselves on being available to clients for all of their training needs, both via email and Skype as well as our private community groups. 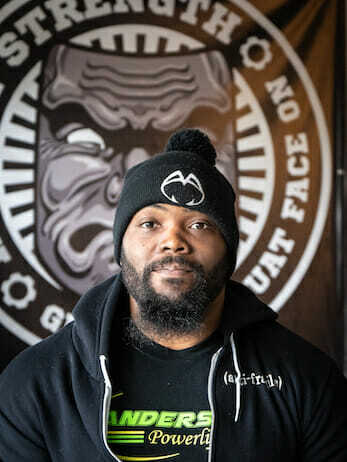 We train powerlifters of all experience levels to be technically proficient, durable, and brutally strong. We pride ourselves in being objective and finding unique solutions to unique problems for our athletes. Individual factors such as training experience, movement limitations, time, personality, opportunity assessment, and favorite movements are just a few of the things we consider when building powerlifting training plans. 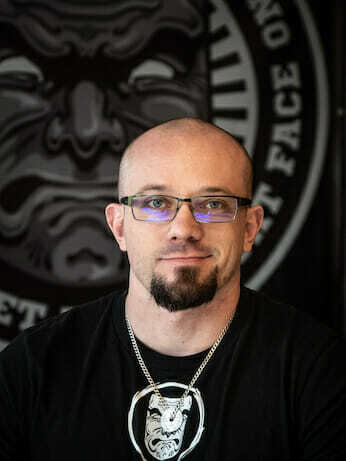 We strive to build our training plans around scientific principles and we truly believe we fill a unique void in the market of understanding how to practically apply research to real-world situations. Want more convincing? Check out what our athletes have to say about us at the bottom of each service options page. We’ve spent years pouring through scientific material to better understand what makes top performers in our field great. Through this effort and applying what we learn everyday to athletes across the world we’ve developed a truly unique approach that combines a clinically based movement system with scientific training practices. We are a coaching and education company first. 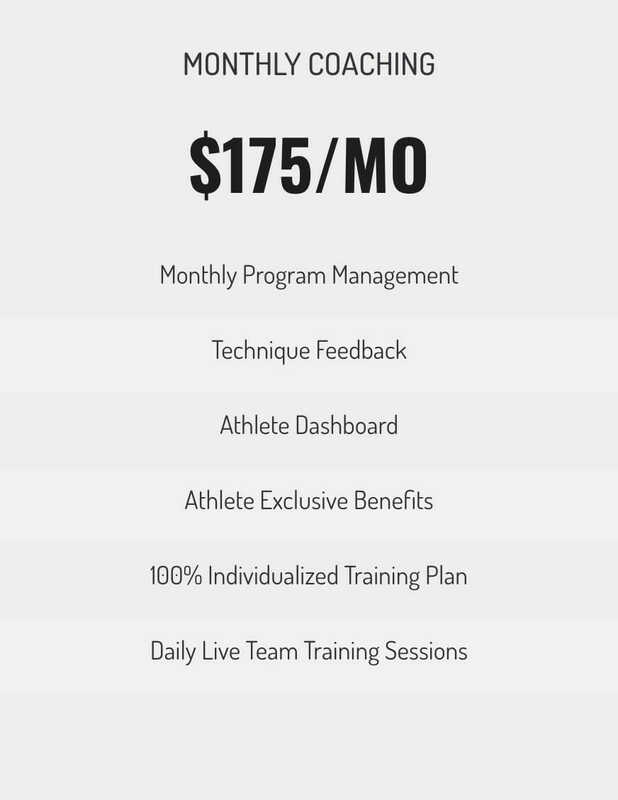 When you join our athlete roster you receive a data driven training program built 100% from scratch for you only. Your will be program fluid and we adapt to your needs as an athlete. At the end of the day our ultimate goal is to take as much off your plate as possible to allow you to completely focus on gaining strength, building muscle, being healthier, and moving better. Our on-boarding process for new clients is simple and straightforward. After your free strategy call we will work with you to select the coaching service right for your needs. You will then fill out a detailed athlete intake questionnaire and soon after we will contact you for a full intake Skype call. Then the fun begins! Click to book a free strategy call with a coach! Hit the red button at the top of the page to schedule a free consultation with our head coach. After purchasing a coaching service, you will fill out an extensive athlete profile so we have the information necessary to build your training plan. We will review your Athlete Profile within 24hrs of submission. Once we finish our review we will reach out to you directly to schedule a 1 on 1 intake call with you and your coach. Once we complete steps 1-3 your coach will get to work building your training plan. You will be sent all necessary documents and be on the road to pursuing your goals under the watchful eyes of your Kabuki Strength coach. 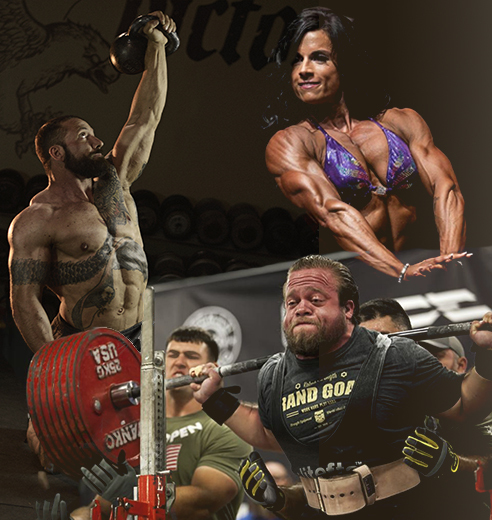 We are a group of coaches, athletes, clinicians, and educators who are all interested in getting strong. We strive to create an atmosphere and community driven by growth and the support of those around us. 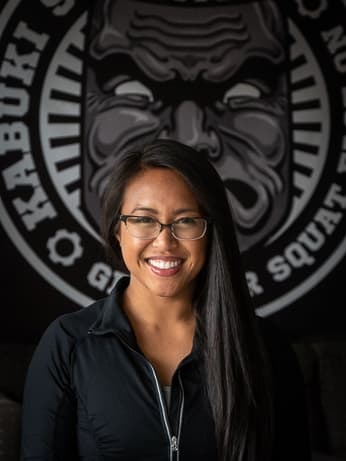 Unlike other remote coaching companies, our entire staff is based under one roof at the Kabuki Strength Lab in Portland OR. This affords us the opportunity to learn and grow together as a coaching group and ultimately provide the highest level of service possible to our KS Team members. We provide completely individualized global coaching solutions through scientific training methods and a clinically based movement system. 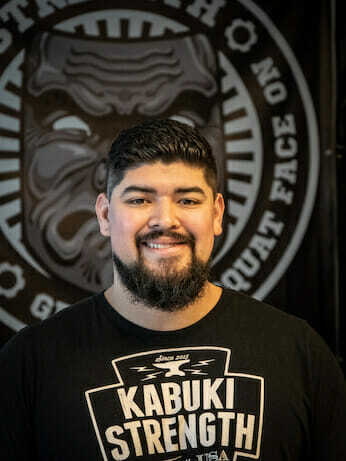 As a member of the Kabuki Strength Team you will receive a 100% individualized training program designed to fit your current needs, future goals, and long-term development. Your program will be curated and delivered by your coach in our powerful data driven excel training logs. Each training plan is rooted in scientific principles that are applied to your specific needs through the experience of our coaching staff. Accompanying your training plan will be a tailored movement plan with pre-training warm-up and off day movement drills. Much like your training plan, your movement plan will evolve as your needs change and skill improves. Each movement plan comes with a written description of how to perform the drills and link to our private video library walking your through each movement. This plan is designed to keep you out of pain and increase your performance. As a member of our team you will also be included in weekly live coaching calls hosted in our private Facebook group. This is a great time to experience our community and talk with our entire staff with whatever is on your mind. We like to keep it fun and informative to connect with our entire team. If you are ready to sign up for coaching right now, scroll up, click the coaching service you are interested in click the red “Sign Up” button to get started! If you’d like more information or to learn more about which option works best for you, head up to the top of this page and schedule a completely free strategy call with a coach! Each individual on our staff made 1 very intentional decision when they became coaches. The decided they wanted to help people reach their goals and support them to become the highest version of themselves possible. We do what we do because we care. We often care more about our team members than we do our own training. It’s this level of care that we want to bring to every single person in our community. At the end of the day we know that for each person we help they will likely go on to help 5 others, this is the attitude that has potential to change the world. Our in-house coaching staff is based out of The Lab, our performance training facility/gym located in Portland, Oregon. The Lab also serves as a manufacturing facility for Kabuki Strength and is where we produce all our content. Each individual on our staff made one very intentional decision when they became coaches. They decided they wanted to help people reach their goals and support them to become the highest version of themselves possible. We do what we do because we care. We often care more about our team members than we do our own training. It’s this level of care that we want to bring to every single person in our community. At the end of the day, we know that for each person we help they will likely go on to help 5 others, this is the attitude that has potential to change the world.